Real men don't need After Shave moisturising cream....until they try this one. How often does your skin feel dry and or sore after shaving? With its high pure Aloe Vera content (20%) this Balm helps to leave even the most irritated and sensitive skin soft, smooth and refreshed. 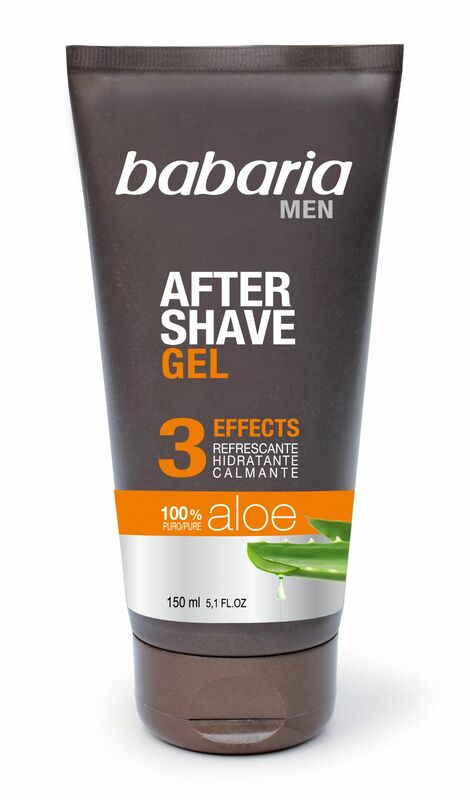 Apply to face after shaving and massage in gently until completely absorbed. Tested by dermatologists; not tested on animals. Aqua, Aloe Barbadensis Leaf Extract(20% Pure Aloe Vera), Alcohol Denat, Isopentyldiol, PEG-40, Hydroginated Castor Oil, Phenoxyethanol, Parfum, Acrylates/C10-30 Alkyl Acrylate Crosspolymer, Allontoin, Ethylhexylglycerin, Sodium Hydroxide, Menthol, CI 42090, CI 42090, CI 19140 (FD & C Yellow 5), Ascorbic Acid, Sodium Benzoate, Sodium Sulfite,Potassium Sorbate.